Home again and looking through my pictures, I remember this meal as special. 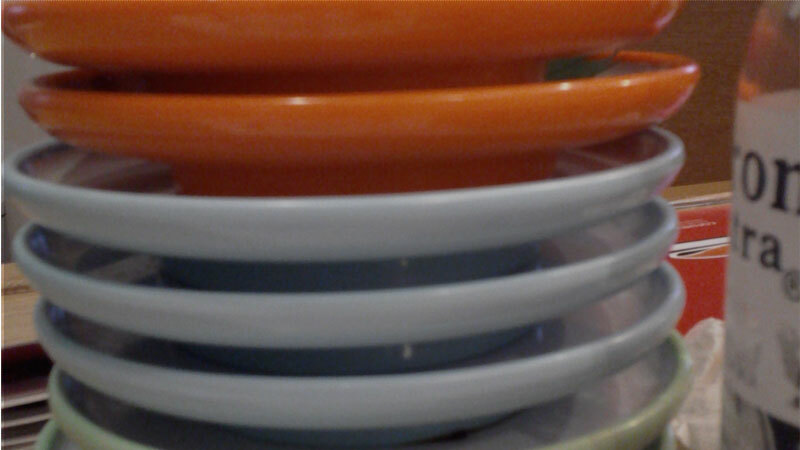 Every plate stands for a price. The most expensive is the red one. 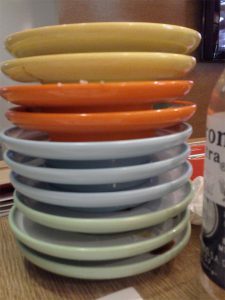 Every plate contains 3 sushi’s. The cheapest where the sushi’s with cucumber on a light blue plate and the most expensive the California rolls. We eat for 45 dollars include two green tea and one beer. This all in a sushi bar on Hamra street.